In this article I would like to discuss the importance of having a good story. Good stories can be a way to justify your actions to the world, gain allies, motivate your alliance members or discourage your enemies. Of course currently, plenty of stories are being told for all of these purposes. But I won’t write about those, because I don’t want to ignite another heated discussion about whether TEST is backstabbing CO2, or the other way around. There are plenty of those already. Let me write about a subject from my own experience that is a little less heated, and some people may not even remember. Let me take you back to 2013, into the world of faction warfare. *For those of you that don’t know faction warfare: There is an area in lowsec, where the great empires fight each other over control of space. Single pilots and small fleets can fight to conquer sites. If enough sites are conquered, a structure becomes vulnerable. Bashing the structure successfully can switch control of the system to the opposing faction. Besides that, there are missions given by NPC agents. These missions don’t influence the war at all but if the time is right, they can yield great profit. At that time, I was a naive pilot that recently started his first PVP experience. I was flying and fighting in the Minmatar faction warfare alliance, and generally having a great time. The first days of PVP were exciting and challenging. Of course my joy had little to do with the faction warfare. At the time, it mostly consisted of solo and rookie pilots brawling over a handful of systems (just like me). Of course there were a few strong Minmatar corporations who held most of the power (For now lets refer to them as ‘the old guard’). But they didn’t actually participate in the war much. They were farming the missions, when the profit was good, but otherwise were contently babysitting their extensive ‘moon’-empire. Raking in billions of ISK, without fighting the war (at least, that’s what I was told). After a few months I was approached by a recruiter for Biohazard. It was a young faction warfare group who I was willing to join. Biohazard’s leadership was something else. The CEO had the intention to reinvigorate the Minmatar faction and turn its rookie pilots into an effective combat machine. He started organizing fleets to control the warzone in a systematic way. By inviting rookie pilots to those fleets and by supplying them with free ships to fly, our numbers where bolstered. The result were impressive as we quickly took system after system. I felt like a knight crusader, driving the heretics from our land. However, in the end this would not last. Biohazard didn’t have the income to continue giving out free ships, and those young players didn’t have the income to keep resupplying themselves. In an attempt to secure more income, the Biohazard leadership made a bold move. They started an assault on some of the POS-moons from our own ‘old guard’. It felt that these veterans had no claim to such wealth, if they only used it to stuff their pockets, and not use it to benefit the Minmatar war. We were like Robin Hood, stealing from the rich to give to the poor. Of course such deeds wouldn’t go unpunished, in a matter of days war declarations started flooding in. These ‘old guard’ would not have their possessions taken without a scrap and when they came to fight us, they didn’t come alone. The old guard had called upon their age-old allies to wipe Biohazard from the warzone. In the end almost the entire warfare faction had joined in. The rookie pilots that joined us previously didn’t even know what was going on. For a few weeks Biohazard fought a good fight, defending our home-system from the invading forces. We formed hour-long fleets to successfully keep the enemies at bay. But things took a turn for the worse when some of our age-old enemies from the Amarr empire got involved. They received payment to strategically take control of our home system. Which in a time before citadels, meant the corporation had to relocate. While a large fleet of our ‘treacherous allies’ kept us from mounting a defense, the Amarrian forces managed to banish us. Eventually, Biohazard fell. I could continue the story by telling about the glorious feeling we got when Biohazard eventually switched sides, joining the Amarr’s 24th crusade, taking revenge on the Minmatar traitors. Leading to the fall of the ‘old guards’ capital in Huola and the Amarrian forces taking control of the entire warzone. But I feel I have rambled enough about these long-forgotten subjects. Why is this all important? Well I have an especially vivid memory of this time, because it made us feel important. The Biohazard leader was able to weave a pretty story that made us feel amazing about ourselves. By sending regular corporation wide mails about our progress and objectives we were drawn into it. From our perspective it all made perfect sense. Of course in the eyes of others: We were just rebels, shooting our own allies to secure a bit of income, and for what? The idle hope, that supplying rookies with free ships, was going to matter in the long run. For that we were quickly eliminated by an overwhelming force. Our later affiliation with the ‘enemy’ only cemented our status as traitors. In the end that didn’t really matter as to me the story was important. I stayed up long nights to run faction warfare sites all by myself, flew in ships from trade hubs to supply our fleets, scouted systems and bashed infrastructure hubs. The narrative made these dull tasks feel like important work. I invested way more time and effort doing them than I would have done without it. The narrative and openness that this corporation was supplying stands in big contrast with the secretive ways most other alliances are being led. Nowadays, I‘m in a large nullsec alliance and I honestly miss being drawn into a story. 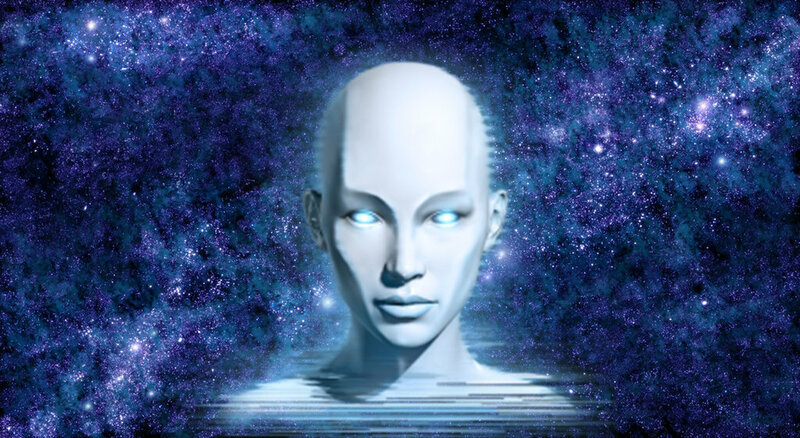 In our fleets I often hear questions like: “can somebody explain what we are doing here?” Often the only answer is silence, or the quick remark: “Don’t answer that, spies are listening”. Another fleet: “where are you guys? Can I catch up?”. The same silence usually answers the question. Myself, I often explain to the person in question that it’s easy to find fleet members by yourself, without asking. * For those who don’t know: Open your map. Go to the map-control panel. Under the tab: my information, you find the option: My fleet members. If you select it, your fleetmembers get highlighted as green dots on your map. Same goes for our calls to arms. Often we get notified with texts like: “Stratop, forming machariels under *FC name* join coms 2”. Which to me seems the most minimal information that people require. If a fleet is called like this when I am online anyway I’ll probably join it. However I honesty rarely go out of my way to join fleets if the timing isn’t convenient. I have no idea which fleet is fun, important or which is just another meaningless time sink. In most alliances important mails no longer contain any real information, only a forum-link (because otherwise, everybody can read them). Even then the forum post is likely to eventually appear as a ‘post on reddit’. The lack of communication around fleets and the empty emails are just a few examples of measures that alliance leaders take to protect their secrets and plans. But regular line members like myself end up deprived of any information and context. Of course we can follow large developments on sites like EN24, INN or reddit (if you can call reddit news). But that usually leaves us wondering how much of the information is based on speculation and rumours. Sometimes I feel a little lost and empty but I know there are plenty of other pilots who feel the same. I fight because a FC tells me to fight, I re-deploy because everybody does so and I am at war because some high-up decides I should be. In all honesty, sometimes I don’t even bother checking who we are fighting until I see the kill-mails popping up. Of course I still enjoy the thrill of a good fight, but it’s even better if that fight has a meaningful context. Currently there are a few alliances that tend to break this silence. The one best known for this currently lives in Delve. Our buzzing friends from the Imperial beehive have a leader that is somewhat famous (or notorious) for his storytelling. Those of you who often read the INN website, EN24, or reddit, probably know the way the Mittani can spice up any situation. In a recent deployment the Imperium alliance went north to fight PL/NC. The Imperium fought for a few weeks and then decided to leave. In the eyes of PL/NC the Imperium was beaten back after a massive defeat. But the Mittani presented the story as a successful mission. It gave his pilots content and some experience in fights (which cannot be denied). Whichever story you prefer, doesn’t matter to me. What I care about is the result it has on the Imperium alliance. By presenting it as a training campaign the combatants can leave the battlefield with their heads held high, and feel good about their actions. Of course the storytelling of the Mittani may be questionable at times but that doesn’t seem to matter to the Imperium members. The effect of his story-based leadership is quite obvious. 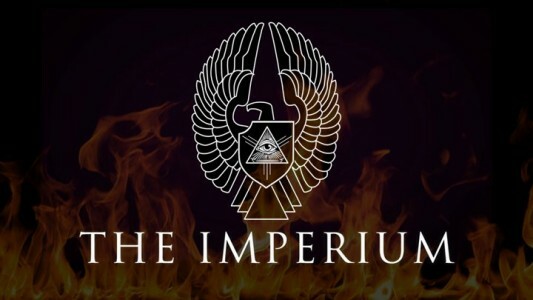 Despite the rough times the Imperium suffered during WWB/Casino-war, despite the involuntary re-homing program and the lack of content in Delve, the Imperium continues to exist. 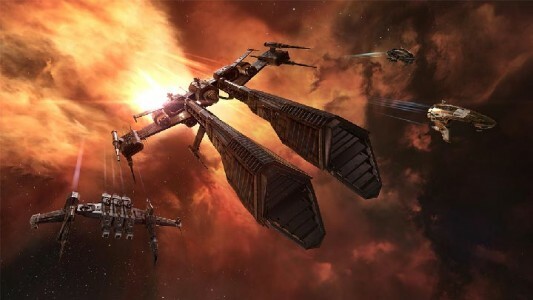 Despite it all it’s still one of the great superpowers in EVE, with a large backbone of eager pilots. And when it comes to those pilots, it’s hard to deny that many of them are very dedicated to their alliance. Start up a random reddit thread about the Imperium or Goonswarm federation, and you probably find a bunch of comments from Imperium-members defending the greatness of their alliance. Which of these comments are based on facts and which one believes I’ll leave to you to decide. Whether you like the Imperium or not it’s undeniable that many of its members are loyal soldiers, willing to follow their leaders to whatever end. I think that this can be strongly attributed to a leader willing to give his alliance-members something that they can believe in and work for. And although I’ll probably never become ‘a goon’ myself, I envy them for that. Of course I don’t imply that all leadership strategies and backdoor deals should be made public. Or that lies should be made-up to keep the masses happy. But I feel that any action can be given context and story, without having to lie, or reveal secrets. Simply tell us that a specific structure deployment (which needs to be babysat by a 60-man fleet), may become a forward base in an invasion (even if that invasion never comes). Or that a specific POS needs to be destroyed to steal a few billion ISK away from the enemy. These little insights may give us the feeling that our actions actually matter. Give your line-members a peek behind the curtains of leadership, a goal to fight for, a story to believe in. Give us the motivation to go the extra mile! There is noticeably big money to know about this. I assume you made specific nice points in functions also. 9s5HsX We think you should read this I am still learning from you, but I am improving myself. I definitely love reading everything that is posted on your site.Keep the tips coming. I enjoyed it! Hey there would you mind sharing which blog platform you’re using? I’m planning to start my own blog soon but I’m having a difficult time choosing between BlogEngine/Wordpress/B2evolution and Drupal. The reason I ask is because your layout seems different then most blogs and I’m looking for something completely unique. P.S My apologies for being off-topic but I had to ask! It’s the best time to make some plans for the future and it’s time to be happy. I’ve read this post and if I could I desire to suggest you some interesting things or suggestions. Maybe you could write next articles referring to this article. I desire to read more things about it! I’m often to blogging and i really respect your content. The article has really peaks my interest. I’m going to bookmark your web site and maintain checking for brand new information. Enjoyed reading this, very good stuff, regards. “While thou livest keep a good tongue in thy head.” by William Shakespeare. It is in reality a nice and helpful piece of information. I am glad that you simply shared this useful info with us. Please keep us up to date like this. Thanks for sharing. Hmm it appears like your website ate my first comment (it was extremely long) so I guess I’ll just sum it up what I submitted and say, I’m thoroughly enjoying your blog. I too am an aspiring blog writer but I’m still new to everything. Do you have any tips and hints for newbie blog writers? I’d definitely appreciate it. Leave a Reply to https://389poker.online Click here to cancel reply.